Hi Charlie! 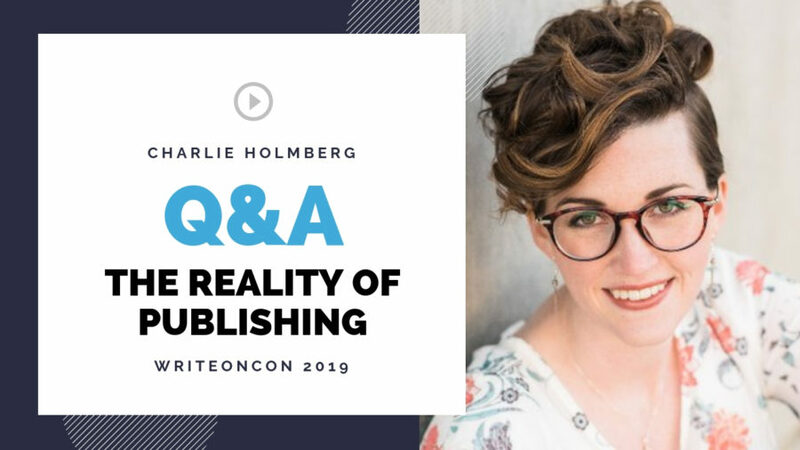 As an established author, do you feel like you have to cater your stories to your audience, agent, editor, or pub house, or does writing still feel like an independent, creative endeavor? Are you constantly thinking about what will sell and the business aspect of the job, or is writing a form of art in your mind? Hello! How much say do authors have over cover design and typography? I love all your book covers! What is the typical timeline for books, from concept to editing to publication? When what you want to write next doesn’t sync with your agent’s wants or wishlist? Is it okay to move to another agent? Can an agent move you to another agent within their own agency? Can you recommend where to find a list of small, reputable publishers for picture books? How did you decide on the agent that was right for you? Do you have any say in the editor you work with at a publishing house? Or in who the publishing house is going to be? How do you navigate the touchiness and politics of social media and how crazy it can all get? What are your publisher’s requirements to you re: promotion? How much promotion / fan interaction do you want to have under your own control? Is there a potential for conflict? What are the middle grade and YA markets like for books about a protagonist with a disability? I’m writing a novel now about a 12-year-old boy with autism, and I have a son with autism, so it is truly a labor of love. However, when I pitched it to a couple of agents, they suggested that everyone was writing about disability now, and that I was writing it only because “aut lit” is hot, and I was looking for material gain. What are your thoughts about writing protags with disabilities? Can an author influence the production of a cover for their book? Can they recommend an artist they like? What is your least favorite part of the publishing process? What is your favorite part? What’s the most surprising part of publishing? What take away, if any, can an author glean from agents saying positive things, but then saying “but I just connect enough”? Does that mean it is more them, than the writing or can the author learn and grow from that comment? Thank you! Is it possible to get published in the US market while being based abroad? Would there be anything different in the querying process if so? Do agents help promote your book? Do they give you a checklist of things you need to be doing before and after your book comes out? Do publishers? Or are you on your own with promoting? How many agents should you query before shelving a manuscript? (I have author friends who have queried 50-70 agents before getting representation.) How do you know when to quit if you are not getting feedback with rejections? Do you personally know many writers who only write full time and make their living that way? Can you only get those big six-figure auction deals from your first book? Is writing still fun for you? I still want writing to be fun and a nice way to just be happy if I publish a book. How difficult is it to keep your career going if your debut does poorly? I have been querying agents and editors accepting unsolicited manuscripts..lots of rejections..with nice comments, though..so thank you for your encouragement about querying as much as possible..my question: the latest publishing house emailed me that my manuscript has gone to the “editorial department.”…never had this response..being a newbie not sure what it means? Thank you for this session! Great energy and information. And you’ve inspired me to keep going, even if it feels like a long climb sometimes! Thank you! This was very fun! Ah, Charlie, you’re so much fun to watch! Thanks for your honesty about this business. Thank you for all the details! Great presentation!